The strength of TFG lies in its unusual combination of private and public sector experience. Its directors have been deeply involved in planning and managing change at the highest levels in both sectors. With the freeing up of markets and the move to outsourcing and privatisation, many businesses have to work in a new environment. Others have to restructure to cope with the growing demands of globalisation. 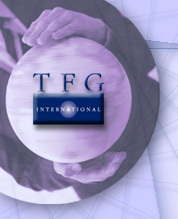 TFG is able to work with and help organisations in both the public and private sectors adapt to the new market settings, and to plan the development of their businesses to cope with rapidly changing national and international environments.TFG is able to provide short to medium term senior executive management to implement changes and develop skills within an organisation. TFG provides advice in relation to the management of intellectual property for corporations and academic institutions. It is also able to provide critical, entirely independent analyses of proposals for ICT programs, especially for larger corporate and government organisations. TFG has special expertise in dealing with government and helping clients manage their government relations. It has proven capacity to deal at the highest levels of government. TFG is available to work within larger teams on projects such as major privatisations, government asset sales, organisational restructuring and investment proposals. It has a capacity to negotiate high level, sensitive arrangements and agreements with corporations, governments and international organisations. It can work with other professional advisers such as lawyers and accountants in leading or participating in negotiating teams. It also has an excellent intelligence network and is able to draw evidence for its advice from a very wide selection of credible sources. TFGs fee structure is related to the particular project or assignment. It will be either on a daily rate, a combination of daily rate and success fee or an agreed fixed cost project fee. Subject to negotiation, an agreed percentage of the estimated contract cost is payable on engagement. Longer-term retainer arrangements can also be negotiated.